Coffee was once a major cash crop for Kenyan farmers but of late things have changed as trees such as macadamia nad avocado are replacing both tea and coffee. Coffee crops are incredibly sensitive to temperature changes. Increasing temperatures world-wide could make it difficult to grow coffee. Farmers have tried to lower the temperature for coffee plants by inter-cropping them with shade trees. But so far, they haven’t been very successful. The trees provided too much shade and competed with the coffee plants for nutrients. The farmers lost money because they didn’t produce as much coffee. A perfect match would be a tree that provides the right amount of shade. It would ideally also be a tree that produced a second cash crop. Researchers have realized that coffee inter-cropped with macadamia trees is a ‘perfect marriage.’ This partnership benefits the coffee plants and improves environmental conditions. It also provides a considerable source of income to coffee producers. According to research conducted in Brazil, the researchers discovered that the two crops were cooperating, and the union could help farmers economically. Currently, 90% of Kenyan coffee farms grow coffee as a mono-crop. 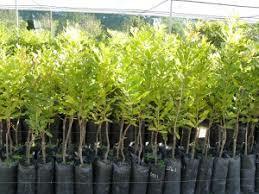 But based on the current trends, more farmers may decide to inter-crop with macadamia trees. The research found that farmers could use several varieties of macadamia in the inter-cropping system. But Muranga 20 macadamia cultivar is the most suitable for inter-cropping with coffee. This variety of macadamia tree provides the best economic result. The economic benefit of this combination is 178% higher than the monocropped coffee. Muranga 20 is nearly a match made in heaven for intercropping with coffee. It’s a hybrid macadamia developed in Kenya and has a smaller canopy than other types of macadamia trees. The smaller canopy means it competes less with the coffee plants while still providing shade. The farmers don’t have to prune the trees as often. But the perks don’t stop there. Intercropping also improves soil fertility. This means farmers can produce more crops with less fertilizers and pesticides. Plus, shaded coffee plantations can reduce water pollution and help decrease the greenhouse effect. With a marriage this good, Kenya, which is the one of the world’s largest producer and exporter of coffee, may also become the largest producer of macadamia. Ludovick Karanja is a farmer in Kiambu County who has been planting coffee since 1968. According to Charles Njoroge an Agronomist, coffee can be intercropped with Macadamia. Unlike other trees, macadamia as highlighted above is a commercial tree which also if taken care properly can earn the farmer some income as well as providing shade. A kilo of Coffee in the current market can give you a range of 70-100 while macadamia sells between 150-220 per kilo. An acre of land can host about 750 coffee bushes and 50-55 trees of macadamia if inter-cropped. According to Naushad Merali, Group Chair, Sasini Ltd, Sasini Ltd is building a Mega Macadamia processing company as they plan on entering into Macadamia business. Once processed, a kilo of Macadamia can fetch upto Ks 1500 per Kilo.